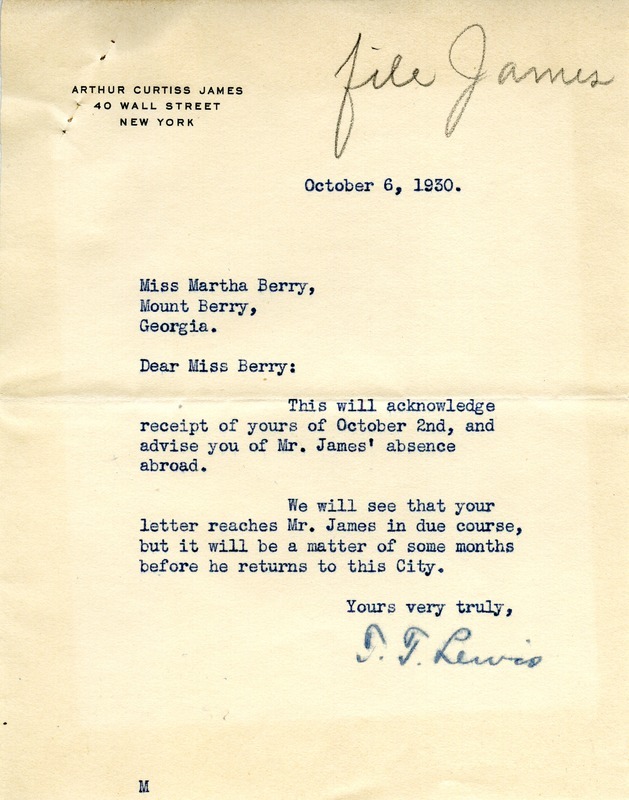 Lewis advises Berry that Arthur Curtiss James is abroad. T. T. Lewis, “Letter from T.T. Lewis to Martha Berry.” Martha Berry Digital Archive. Eds. Schlitz, Stephanie A., Sherre Harrington, et al. Mount Berry: Berry College, 2013. accessed April 22, 2019, https://mbda.berry.edu/items/show/12981.